Roof leak repair is one of the most common roof repairs that is necessary after a storm or excessive wear and tear. The thing is, if it isn’t caught early enough, it can escalate into something more serious, like a roof replacement. 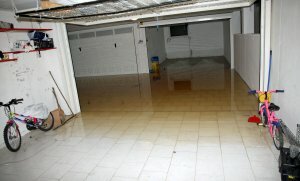 We recommend you call us immediately once you become aware of the roof leak. We are available 24/7 for roof leak repair, call us now! No matter what time it is, when you call us for emergency roof repair, one of our roofers will come out and do a thorough inspection to make sure we catch all of the damage that has been done to your roof, so nothing is missed, or continues thereafter. We are one of the most trusted companies in the industry because we have integrity, and we will do the job until your expectations have been exceeded. We take our customers’ wishes seriously, and will go the extra mile to make sure your roof is just how you want it. When it comes to roof leak repair, we offer competitive rates and incredible customer service from a team of true professionals. If you need emergency roof repair, you won’t find a better company than us. There are benefits with our company you won’t find anywhere else; for instance, we are extremely reliable and only offer the highest quality workmanship at competitive and affordable rates to fit within your budget. Our roofers are skilled in roof leak repair, among other areas, and can quickly assess your situation accurately, and expedite the job to your complete satisfaction. We offer emergency roof leak repair services as a vital necessity to protect your home or commercial building when it matters most. When your roof has given way to moisture, your attic and the rest of your home or commercial building are then opened up to water damage. It’s not something to play around with, those repairs can get extensive. We try to jump on the problem before it spreads that far. There are times where a leak has gotten out of hand, and pushed a moderate roof over the edge into the zone of being an ineffective barrier against the elements, requiring a roof replacement sooner than anticipated. We can’t stress it enough, don’t take chances with your leaky roof. Whether it’s been gradually worsening over time, or it happened suddenly from high winds, debris, an ice dam, etc., don’t wait any longer. Call us and have one of our roofers come do an inspection and handle any roof leak repair to make sure your investments are cared for and protected. Some guys out there will do a patch-up that lasts until the next rain, but we will get it fully handled to your satisfaction, and stand by our work. We provide roof leak repair in Bentonville, Springdale, Fayetteville, and all of the surrounding cities.